The paddle board or SUP (Stand Up Paddle) is a nautical activity that involves sailing on a surfboard with a paddle. Positions vary between kneeling and standing. This leisure is generally practiced in calm waters and not very tumultuous. At Écorécréo, we offer high quality paddle boards from the Taiga brand. 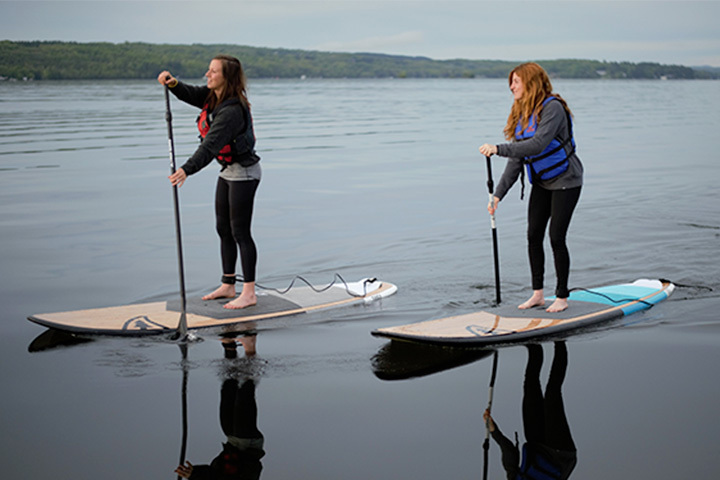 Taïga is a Quebec company specialized in the manufacture of paddle board (SUP). 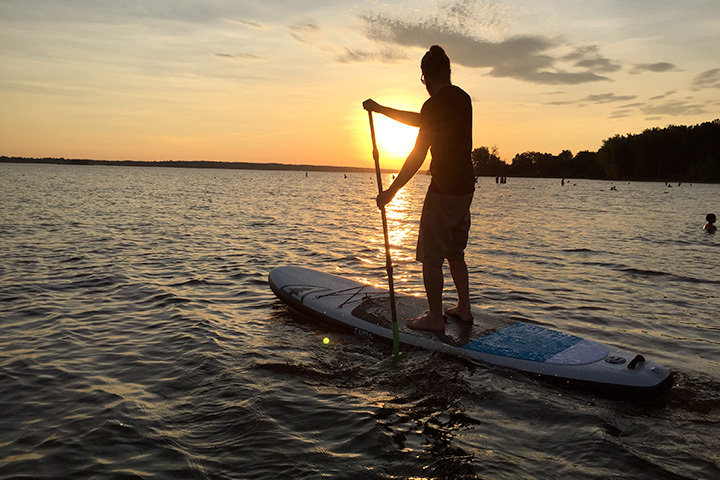 Taïga paddle boards are made with care and are perfectly adapted to Quebec lakes, rivers and bays. SUPs are available from $ 15. For more details, please visit the rental center where you would like to rent the equipment. Required Equipment: Wearing of lifejacket. Rights to move: In the delimited marine area. Age Required: 8 years (with an adult), 12 years (with parental consent) or 16 years (without parental consent).